Come and enjoy the Spanish capital this year with Nautalia Viajes’ flights to Madrid. For some incredible holidays with your friends and family discovering Spain’s most modern city and one of the most relevant and in-demand global capital among tourists. 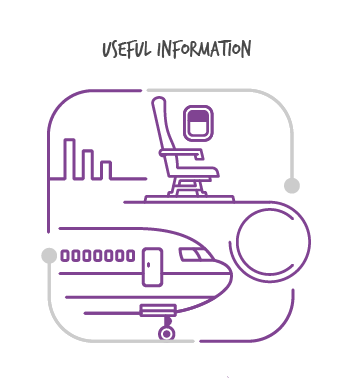 Make your booking with us and take advantage of our offers and discounts to travel at the best price only with us. Madrid invites you to spend your days of relaxation in a different way! 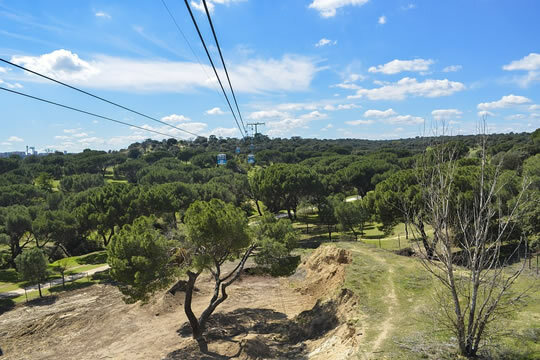 A diverse range of activities ideal for all types of people await you in the city of Madrid, as the city’s leisure offer will not leave anyone unmoved. Therefore, if you want to spend some complete holidays in this city, you must not waste time; book now and jet off to Madrid as soon as possible. Make the most of Nautalia Viajes’ fantastic offers now. As expected, during our summer days, we want to disconnect and spend some peaceful days with our loved ones, partaking in activities for everyone or visiting places of interest. Therefore, this year, Nautalia Viajes invites you to get to know the city of Madrid, where you will have the pleasure of experiencing a European capital that you will love from beginning to end. Enjoy the best tourism in Madrid. If you have decided to jet off to the capital along with your little ones, then we recommend that you go to visit one of the theme parks in the city, such as Parque de Atracciones or Parque Warner, where young and old will be able to enjoy incredible shows and attractions. Furthermore, the capital has an offer of theatrical shows, concerts and workshops that are ideal to spend an entertaining day with the little ones. The city’s museums are also a good option for a visit, as they usually have different activities focused on children. Moreover, the streets of Madrid also house numerous attractions to experience, such as the famous Mercado de San Miguel, one of the capital's best known markets and a perfect place to enjoy tapas and drinks, El Rastro, Madrid’s famous street market in which you can buy and see countless unique, one-off objects, or the Teleférico, a cable car that will allow you to enjoy the best aerial views of the city, an activity that comes highly recommended on your visit to Spain's capital. 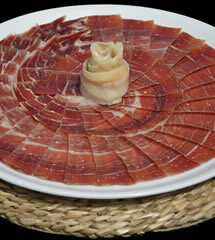 To finish, the city’s gastronomic offer is unbeatable and an ideal way to experience the cultural atmosphere of the area. There are several tours and activities that you can complete to experience the city’s culinary offer, which is undoubtedly one of its greatest attractions. Madrid is an open, cultural and cosmopolitan city and undoubtedly a capital where you can see new things every day. 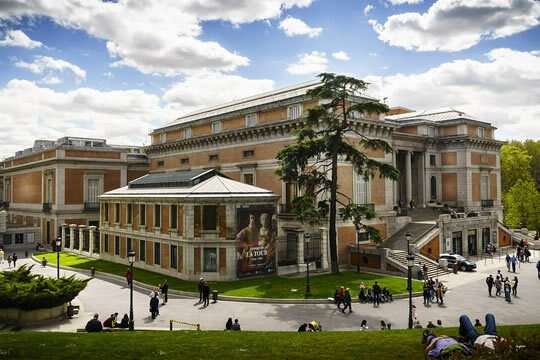 Therefore, we recommend that if you want to spend an incredible cultural day in Madrid during your holidays, you complete the Paseo del Arte walk, one of the capital’s most important cultural attractions that you are sure to love. The city of Madrid is home to a wide variety of museums and galleries containing incredible collections of works of art, objects and many antiques that form the cultural wealth of the Spanish capital. This great wealth found in the famous Paseo del Arte walk, which you will be able to take to experience Madrid’s most famous museums. 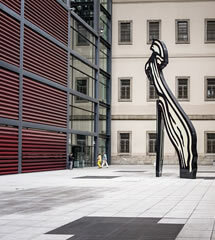 They notably include the Reina Sofía Museum, which houses many works of art by artists as relevant as Picasso, Miró and Dalí. Furthermore, it is the museum where the precious Guernica by Pablo Picasso is kept; the Prado Museum, where you will be able to discover the most important selection of Spanish paintings in the world with artists such as Velázquez, Murillo or Goya; and the Thyssen Museum, exhibiting over 1,000 works of art, including paintings by Rubens, Monet, Dalí and Van Gogh. These three museums are undoubtedly your must visits on the Paseo del Arte. But in addition to these museums, on the walk you will find a wide variety of galleries and cultural centres such as the Archaeological Museum, which displays different antiques of civilisations such as the Greek, Roman or Visigoth; Caixa Forum, one of the capital’s most characteristic cultural centres, with many exhibitions and cultural workshops; or the Real Jardín Botánico (Royal Botanical Garden), where, as well as enjoying its natural views, you will be able to see its archives, which include drawings, technical sheets and other documents. If this year you are going on holidays to Madrid, you cannot miss the fantastic Paseo del Arte walk, a tour through culture and art where you will be able to discover, explore and experience the living history of our country. To enjoy some good and unrepeatable holidays in the Spanish capital you absolutely have to discover the gastronomic offer that it boasts. Thus, you will have the luxury of trying the city’s best dishes and making the most of your holiday. Don't forget to sample the flavours of Madrid! 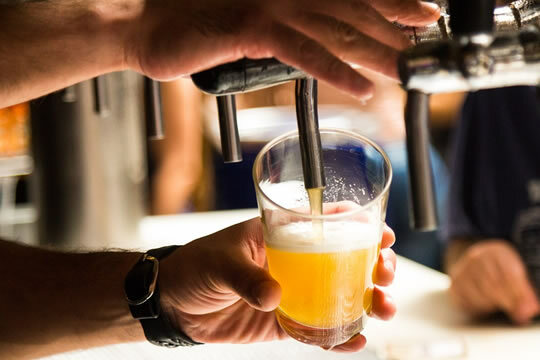 If there is one thing you have to do during your days of relaxation in Madrid, it is go for drinks and tapas in the bars of the city’s streets. You will enjoy a wide variety of premises, restaurants and bars in which to be able to do what is perhaps the most typical activity of the Spanish capital. Walk through Madrid’s streets and discover its flavours and its great leisure offer. Enjoy the tapas and leisure of Madrid. But where should you sample tapas and experience the local gastronomy? 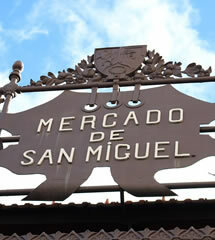 The capital undoubtedly has different zones and emblematic districts in which to be able to enjoy the best bites and dishes; we recommend that you meander through districts such as La Latina, Huertas or Malasaña, in which you will be able to sample tapas, enjoy a good beer and the festival atmosphere breathed there. The beer, Spanish omelette bites and Serrano ham sandwiches are the gastronomic stars of the city but you will also have a wide variety of dishes that will satisfy your appetite. These districts are also ideal for nightlife, as in them you will find different bars or clubs for all tastes and in which to have a great time on your holidays. If, on the contrary, you don't want to graze on tapas and you would prefer to enjoy a good meal, then we advise that you visit the city’s best restaurants, which you will be able to find in areas such as Plaza Mayor, Fuencarral, Lavapiés and Mercado de San Fernando. The typical dishes that you must try in Madrid include cocido (chickpea strew), callos madrileños (tripe), soldatitos de pavia (cod fritters with red pepper) or huevos estrellados (broken fried eggs), among many others that you cannot miss. The historical wealth of Madrid stands out for its great variety and different emblematic places to visit, so one of the activities available in this city is to stroll through the streets to discover the most important monuments. Come to enjoy the Spanish capital this year and spend some incredible holidays with your loved ones. Without doubt, Madrid boasts different points of interest in which you will be able to experience the architectural wealth hidden in the Spanish capital. Therefore, you only have to book your trip to be able to set these fantastic holidays in motion. Explore the most emblematic points of Madrid. One of the Madrid’s main places is of course Puerta del Sol, one of the city's most important squares, surrounded by buildings and symbols representative of the city. 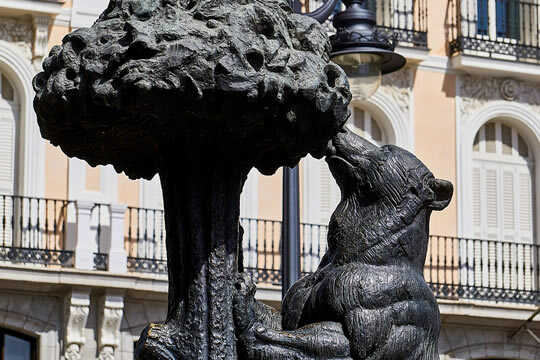 In it, you will find the famous Clock of the Casa de Correos post office building, where each year the bell rings in the new year, and the emblematic statue of the Bear and the Strawberry Tree, one of Madrid's best-known icons. Close to Puerta del Sol, you will find another of the most important squares, the Plaza Mayor, which you will love for the façades that surround it. Without doubt, one of your obligatory visits on this trip is to the Royal Palace, an 18th century building that currently functions as the residence of the Spanish Royal Family. Furthermore, the areas around the Palace are surrounded by beautiful gardens such as the Jardines de Sabatini, and so it is worthwhile strolling around and taking in the beautiful views of the Royal Palace. Not far from the Palace is one of the most beautiful points of the Spanish capital, the Temple of Debod, a former temple that was gifted to Spain by Egypt and that will afford you beautiful views of the city. Other must visits during your stay in the capital undoubtedly include the Puerta de Alcalá, a highly prominent monument in Madrid, the Catedral de la Almudena, a majestic 19th century structure that will amaze you with its mosaics and its huge dome, or the statues of Cibeles and Neptune, whose beauty you will fall in love with. 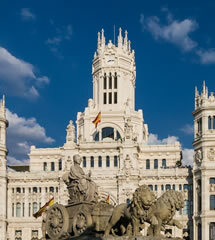 Wamos Air’ flights to Madrid offer the possibility of enjoying some brilliant summer days surrounded by your nearest and dearest and trying many activities in its surrounding areas, visiting its parks and gardens or simply enjoying the mythical visits to Puerta del Sol or the Plaza Mayor. In any place in the capital, you will be able to spend an incredible evening and enjoy your summer days in the best possible way. 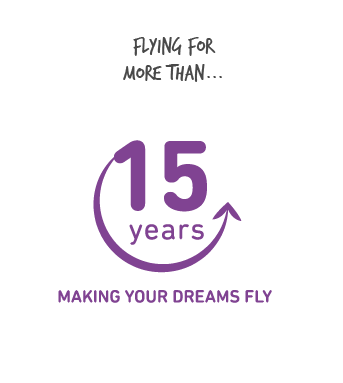 Enter the Wamos Air websites and set some unrepeatable holidays in Spain’s best city in motion! This year you will have the pleasure of being able to jet off to one of the most emblematic cities of the Spanish territory, Madrid. It is undoubtedly a city known for its great atmosphere, its cultural wealth and its great tourist offer that will not leave anyone unmoved. If you want to spend some incredible holidays surrounded by family, friends or as a couple, then you cannot miss the opportunity to select Wamos Air’ flights to Madrid, with which you will be lucky enough to enjoy the city at the best price. Madrid has different forms of leisure that are ideal to make the most of your holiday, but its cultural wealth is truly remarkable. To experience it, you only have to stroll through its streets to discover, step by step, the monuments, museums and different areas of interest that fill the capital. So you will have the pleasure of experiencing the history of this city and spending a truly amazing day. We also advise that you go to visit streets such as Gran Vía, Atocha, Alcalá or areas and districts such as Callao, Ópera, La Latina and Malasaña to continue discovering the essence of the city and the true party and leisure atmosphere breathed in every part of Madrid. Furthermore, all these areas are ideal for one of the capital’s most typical activities, sampling tapas, as in all these districts you will find the best offer and variety of bars and restaurants in which to enjoy the local gastronomy and learn more about its culinary culture. In the Spanish capital, you will also have the luxury of performing many activities in its surrounding areas as it boasts different places that are ideal for them. Theme parks, amusement parks, different theatrical or opera shows and even sporting events are some of the options that you can choose, in the company of the little ones or with friends. But if, on the contrary, you want to spend a day in the open air, it is also possible to stroll around the fantastic natural areas of Madrid, such as the enormously popular Retiro Park or Madrid Río Park, where you will be able to partake in sporting activities or walk peacefully, and why not rent some boats to sail on the Retiro’s magical lake. In summary, flights to Madrid are the best holiday option for this year, so don't miss the opportunity to book with us now and take advantage of our prices and discounts; with them, you won’t be able to resist a few days in this very special destination. Pack your case now to come with your friends and family to the emblematic Spanish capital and enjoy these fantastic summer days with small children. 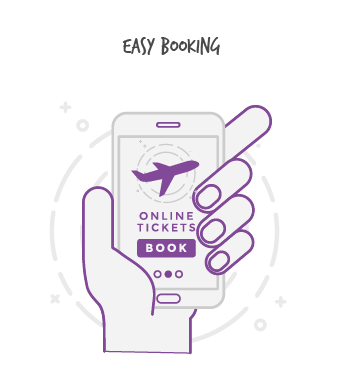 Don't delay and book your trip now with Wamos Air!